I auditioned for Blogger Idol! My hope is to become part of the Top 12. 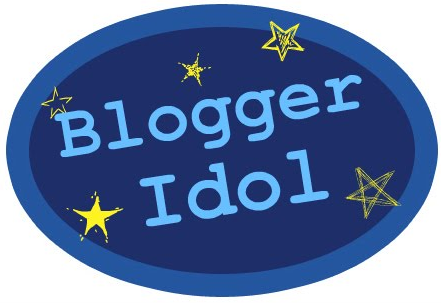 If I do, I will compete on a weekly basis completing writing tasks created by a panel of judges and face an elimination each week until the one and only blogger left standing will be crowned the Blogger Idol! If you would like to see www.whenmommymetrosie.com in the Top 12, check out the contest’s Facebook page and post a comment telling them so. Today is September 10th. It was twelve years ago today that I last saw and spoke to my father before he died with thousands of others the following day. I remember a few details of our family dinner that night. I remember my father sitting at the head of the table as always while I sat two chairs to his left. I remember talking about play tickets I wanted to buy. I remember my mother telling a story about what happened at church that day with her friend Grace and her Yankee T-shirt. The following day my sisters, cousins and I would sit around the same table, calling 311, hospitals and the families of my father’s colleagues. This way, we convinced ourselves we were making progress; we were doing something other than waiting. But that’s all that day really was for us as I imagine it was for the other families…a waiting game. That very ordinary day, a day that tricked us with its gorgeous blue sky and autumn breeze, and then twisted and contorted itself into a real-life, grotesque nightmare. A nightmare in which the murderous terrorists weren’t the only villains. No, the other devil that stalked us that day, that crept up behind us while we weren’t looking was time, the steady and constant passage of time. Every hour, every minute, and every second was another in which we had not heard, another reason for the prickling truth on the edge of our brains to pull us toward reality. We tried not to sleep for to sleep was to admit that the day was over. But soon, despite our resistance, the day turned to evening, evening to night, and night to early morning. I, along with my mother, sisters, aunts, uncles, and cousins succumbed to the heavy hand of time. Eyes began to close and heads began to fall. One by one we fell asleep, in chairs, on couches, and at the kitchen table. Even though most of us slept for less than two hours, I suspect there was a time when we all slept at once and all rested together in the wee hours of the morning. And I imagine my father came to us then. I imagine he walked about the house, in and out of each room, looking into each of the faces of those he loved and those that loved him back. And as he said goodbye to each of us, his words were like a lullaby, gently soothing us, for just a moment during this time of horror. After entering through the front door, he approached the staircase. His hand slid against the grain of the wood as he ascended the stairs. At the top he turned left and crept into the bedroom he shared with his wife. There, he had watched television, a sambuca in his hand, while she lay behind him reading a mystery novel. There, she had held him as he wept, as he had done for her. There, they had talked about their children, their grandchildren, and parents. There, they had made love. There, they were in love. Now, she lay on their bed, curled up in pain, in a sleep forced onto her. He looked down at her face that he knew by heart and savored each feature in his mind. He walked around to his side of the bed and lay down next to her. He brushed his fingers through her hair and wrapped his arm around her. Then, as he softly stroked her cheek, he kissed her lips for the last time. Leaving his bedroom, he moved throughout the house to find his four daughters. When he did, he looked on their sleeping faces, thinking of the lessons he had tried to instill and of the many he would now never get to teach. He bent down over each of them and pressed his lips to their foreheads. When he did, a memory of each of his babies flashed in his mind: Michele’s tiny, slender body always dressed in her red plaid jumper, Katie’s blonde ringlets that often fell into her bluest eyes, Kristen’s freckled cheeks each with a coin-slot dimple, and my walnut-sized brown eyes with eyelashes that reached my brow bone. He held each kiss as long as possible, then stood up and smiling at the women he saw before him, he moved out of the room. Following those to whom he had given life, he went to those who had given it to him. He encircled his mother in his arms, as he had always done. He held her into his chest and pressed his cheek to her head, her white hair grazing his skin, and then turned to his father to whom he did the same. In his embrace, he used his arms to say thank you for the love they had so willingly shared with him. He hugged his parents tight, squeezing his gratitude into them. He went next to his four grandchildren. He wept as he stood above them knowing he would miss most of their lives. He remembered the moment he found out each of them was to be born. He had wept then too. Squatting down beside them, he studied their every detail. He examined Lauren’s plump pink lips, the half-moon shape of Julia’s chin, Joseph’s fleshy cheeks, and the auburn hair atop Vincent’s head. “I love you,” he whispered to each of them, “I loved you before you were born.” As he stood up, he thought of his grandchildren that had not yet been born, nor even conceived, and he said good night to all of them. Leaving his grandchildren, he continued into each room of the house until he had seen everyone. Each sibling, niece, nephew, and best friend. And to each face, he gave one last look, shared one more touch of love, and said one more goodbye. Joel, Billy. “Lullaby (Good night, My Angel).” River of Dreams. Columbia, 1998. SPOILER ALERT: Some details about ABC’s Once Upon a Time and a few Disney films are discussed in this post. At the end of the month, Disney’s drama series Once Upon a Time will begin its third season on ABC. The show takes place in a town called Storybrooke; the inhabitants are actual fairy tale characters who were removed from their enchanted world by a powerful curse. The characters have no memories of their past lives and take on different identities in their new world. I have been watching the show since its debut in 2011 and taking note of the ever-evolving adoption storyline that lies at the center of the show’s plot. While there are moments and events that I believe do a nice job of portraying adoption, there are others that do not. 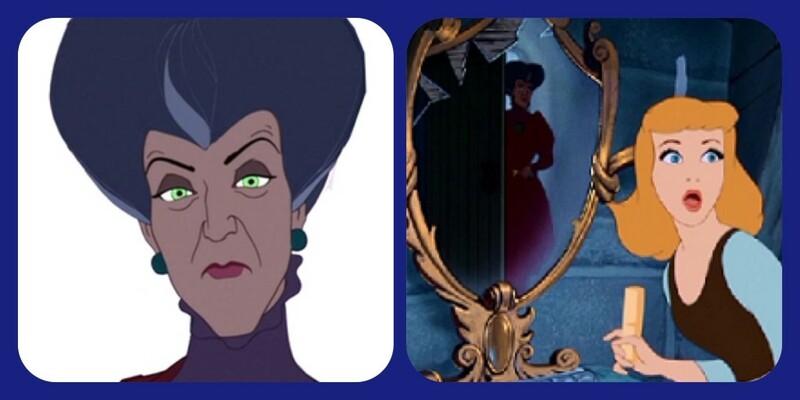 One concerning aspect is the fact that the adoptive mother in the show is no other than the Evil Queen, Snow White’s stepmother. The Evil Queen is the central villain in the magical world in which the characters used to live. There, she made a habit of ripping out the hearts of many of her subjects and keeping them in order to control their owners. It is the Evil Queen that curses the characters and brings them to their new world in order to finally defeat Snow White whom she deeply despises. Now named Regina, she is the mayor of Storybrook. Ten years earlier, she adopted Snow White’s biological grandson, Henry. Henry’s biological mother Emma is the destined savior of the people trapped in Storybrooke and the show begins when Henry runs away from home to find Emma and ask her to come fulfill her destiny and break the curse. This is not a comfortable set up for me. I imagine it isn’t comfortable for other adoptive mothers or even some birthmothers. I am not saying the roles should be reversed. Of course not! And I am not saying that the fact that an adoptive mother is portrayed badly in a fictional television show means the show is claiming all adoptive mothers are bad. 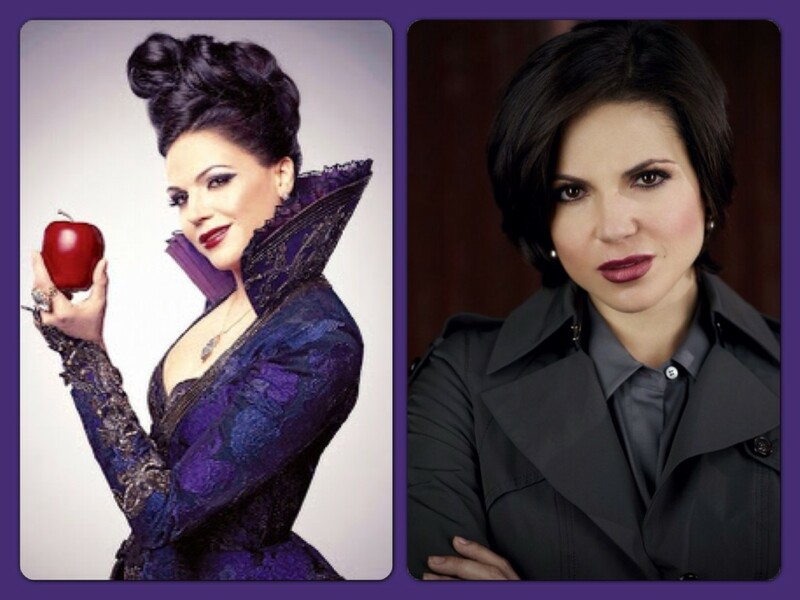 However, the conflict at the center of the show is Regina vs. Emma, adoptive mother vs. birthmother. And, furthermore, much of this contention comes to be about Henry. They argue over his parenting; they argue over who has the right to make decisions about him. In many ways, Regina begins to lose her role as mother in Henry’s life to Emma. In the Season 2’s episode “Queen of Hearts”, Regina’s face drops in sadness when she hears Henry call Emma “Mom” for the first time. Now, in the course of the plot much of this makes sense. Emma begins to take over the care of her son because Regina is a villain who commits wicked acts such as killing her lover when he threatens the stability of the curse and framing Snow White for murder among other things. Also, it is undoubtedly clear that Regina loves Henry. As the show moves forward, she does try to become a better person for the good of her son and she and Emma do find ways to work together in order to put Henry’s needs first. Still, the portrayal of adoption in the show as a whole is just uncomfortable. In our modern world in which most adoptions are open and a good relationship between adoptive parents and birth parents is all the more important, it simply doesn’t jive with me that in this show two members of the adoption triad (birth parents, adoptive parents and child) are pitted directly against each other. It doesn’t bode well with me that the birthmother is depicted as better than the adoptive mother. And it would bother me if these roles were reversed as well. I am not so sensitive that I will not watch this series anymore. I understand that everyone can take offense to something in any show, movie, song, etc. But I can’t help but think about these things while I watch each week and wonder how I would explain them to Rosemarie if she were old enough to ask. The truth is she may never watch this show. By the time she is older, it will likely be off the air or she will be old enough to see the show for what it is–fiction. This series, however, is not Disney’s only production that has negative ideas towards adoption lurking below the surface. A few of the animated movies do as well. I watched many a Disney movie as I grew up with my sisters. We yearned for Cinderella’s wish to come true and smiled with glee when her foot slipped effortlessly into the glass slipper. We envied Sleeping Beauty’s “gold of sunshine in [her] hair and “lips that shame[d] the red, red rose.” We sang along with Ariel about her “gadgets and gizmos” and laughed along with Belle at Lumière’s and Cogsworth’s antics. Of course, we cannot blame Disney for this since most of these movies are based on fairy tales that existed long before Disney animators drew them into life. It is through Disney, however, that my daughter will most likely be exposed to these stories and, therefore, that is where my focus lies. Snow White – Filled with jealousy because of her stepdaughter’s beauty, The Evil Queen hires a huntsman to lure Snow White into the Enchanted Forest and cut out the young maiden’s heart. When this plan fails, the queen uses magic to transform herself into a haggard old woman and tricks Snow White into eating a poisoned apple that will put her into a deathlike sleep. Cinderella – After Cinderella’s father dies, her stepmother forces her to become “a servant in her own home.” The stepmother’s piercing green eyes gleam with hatred as she orders around her stepdaughter and makes every effort to destroy any chance of her happiness. She purposely gives Cinderella extra chores in order to spoil her plans to attend the royal ball and locks her in her room so that she cannot try on the glass slipper and be reunited with the prince, her true love. Tangled – Rapunzel is raised by a woman named Gothel whom she knows as her mother. After sneaking out of her home in a tower, Rapunzel discovers that Gothel actually kidnapped her from her birth parents when she was still a baby in order to use the magic that resides in her extra long hair. Her biological parents have been searching for her since she went missing and she is reunited with them in the end. 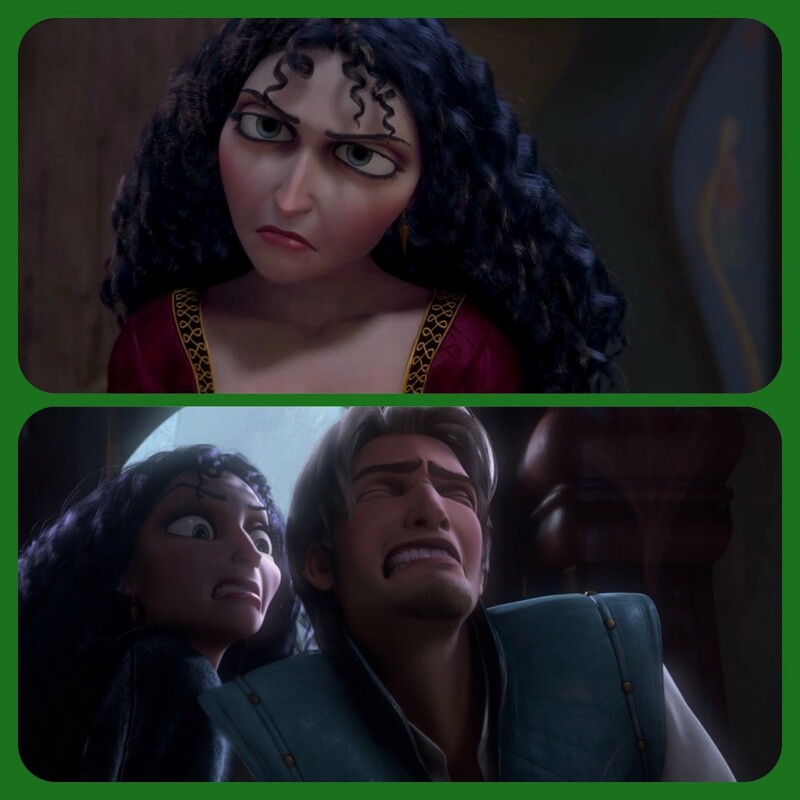 Gothel, on the other hand, attempts to kill Rapunzel’s true love stabbing him before Rapunzel’s eyes. 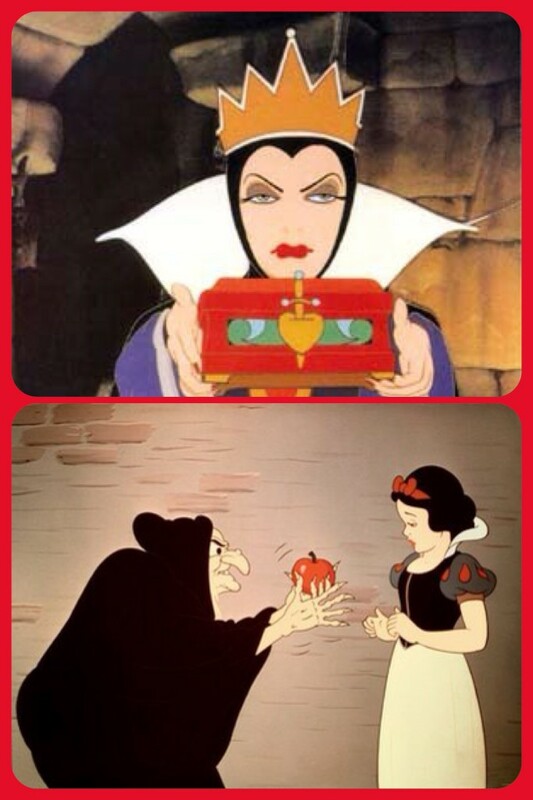 In the case of Snow White and Cinderella, the message is quite straightforward. The stepmothers are evil; it is as simple as that. Thus, neither movie depicts the non-biological mother in a positive way and could imply to a child that step, adoptive, or foster mothers are “bad” as well. The implication about non-biological mothers is a bit more complex in Tangled. Gothel is a criminal; she kidnapped a baby whose hair had magical powers. Thus, it only makes sense that she does not truly care for Rapunzel. This, however, is not always clear to Rapunzel and an adopted child may see a similarity between Rapunzel’s situation and his own. He may notice that Rapunzel, like him, was raised by a woman other than his birthmother. He may start to wonder about the way in which he came to his adoptive parents; he may wonder if his birth parents, like Rapunzel’s, have been searching for him all along. I am certainly not trying to say that these movies are purposely portraying a negative message about non-biological parenting. The issue is more that an adopted child watching the movie may pick up a sense of negativity because he lacks the ability to see the difference between fiction and reality. Based on different forums and blogs I read while researching this post, it seems some adopted children notice the connection between these films and their own lives and some don’t. I supposed it depends on a child’s age, perception and personality. Either way, it is my job to think about these things in case the day does arrive when Rosemarie looks up at me with her gray blue eyes and asks if her birthmother cries the way Rapunzel’s mother does or if I will ever treat her how the wicked stepmother treats Cinderella. And if that day does come, I want to be prepared with an answer that explains that these movies are fiction and not based on truth, an answer that helps her understand that her birth mother chose adoption for her because she knew it would give Rosemarie the best life possible and finally an answer that assures her that she could run away to live in the forest or sneak out to attend the biggest ball of the year and she would still be my daughter; I will NEVER turn on her and will always love her from the depths of my heart. Do you watch Once Upon a Time and have a different opinion? Have you seen any children’s movies that portray non-biological parents or adoption in a negative or positive way?